Erik Voskuil, who runs the excellent Before Mario, has a very special piece of Nintendo history in his personal collection. And no, it's not badass Lego. It's this promotional calendar, given out to advertise Nintendo's card business. In 1915. And while the age itself is impressive, it's the little touches reminding us of this bygone era that make it such a fantastic collector's item. Like the fact Nintendo had not one, but two phone lines. Extravagant! 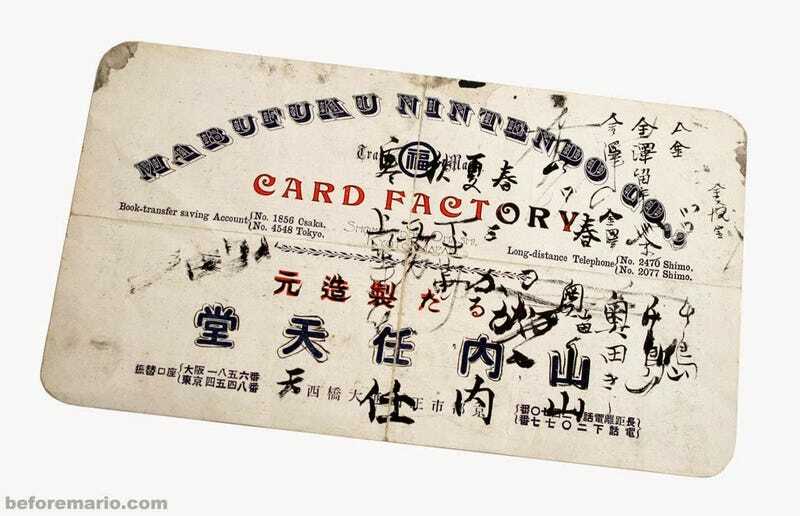 And that the company was still known as "Yamauchi Nintendo", after its founder (it wouldn't become "Nintendo" until the 1950s). Also of interest is the company's address, the small Kyoto office that it was founded in all the way back in 1889. Sadly, this building no longer exists, as it was demolished in 2004. You can see more pics of the calendar, including a fantastic photoshop restoration of its front cover, on Before Mario.